Artist, naturalist, teacher, scholar: Born in Chicago, Nancy Halliday moved with her family a great deal as a child, due to her father’s work. As she has noted in an upcoming Member Spotlight in the GNSI Journal, attending schools in so many locations made permanent friendships impossible. Nature became her companion. Nancy loved to draw, particularly her animal and plant companions. Recognizing her talent, her parents –including a fashion illustrator mother– arranged art lessons in most places they lived, starting at the Art Institute of Chicago. The limited paths available in art at that time led Nancy’s professional efforts elsewhere. The first to attend college in her family, she found herself at home in the natural history museum on campus at Michigan State College. 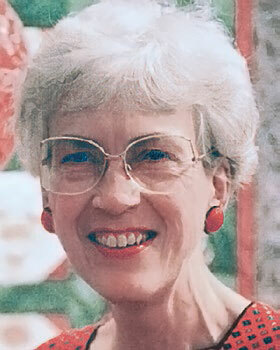 She completed her degree in Zoology from Oklahoma University, having taken classes with George Sutton, the bird artist. By the time she graduated, Nancy had done enough illustrating for college professors that she realized she could make a career of scientific illustration! Ever the scholar, Nancy earned a Masters Degree in Geography and Environmental Studies at Northeastern Illinois University in 1988, where her thesis was on the field studies of William D. Berry, the late wildlife illustrator from Fairbanks AK. For most of her professional life, Nancy worked as a freelance illustrator and/or naturalist, working in such places as the Smithsonian, the Florida State Museum and from the Museum of Northern Arizona to a camp in Ely, MN. Later in her career, she had a position as artist-naturalist for the Cook County Forest Preserve District. During the period in the late 1960s when illustrators from all over the National Museum of Natural History at the Smithsonian, began to have informal lunch meetings together Nancy was working there as an Exhibit Artist. As Nancy says: “soon we were joined by medical illustrators from the Georgetown University Medical and Dental School, and the rest — well the rest is history.” Nancy is the last remaining active charter member of GNSI; she serves as our historian. Since those early days Nancy has contributed to the Guild consistently. She helped get things off the ground, working with the early stages of the Newsletter and generally helping get the word out about the Guild. These days Nancy is known both for her inspiring art and her thorough teaching of complex subjects. She has been an instructor for many GNSI workshops and always been a valued participant of field trips where her extensive field experience and knowledge of our natural world has enriched these experiences for others. One Guild member related that she always tries to stay close to Nancy on outings because of the extra knowledge Nancy can add to the learning opportunity. Many can attest that she is an experienced and intrepid traveler, weathering physical challenges with great aplomb. Nancy wrote the bird chapter in The Guild Handbook of Scientific Illustration, both editions. Right on the cover of the first edition, you can see that she is a master of iridescence. Nancy also understands bird flight from the inside out and teaches it clearly. Watching her demonstration of the physics of flight by blowing on a piece of paper and watching it rise is one memorable experience. Sitting in her extremely thorough class on reflections in perspective is another. Seeing her understanding of mammals and her handling of watercolor fur is yet another. From bird flight to reflections in perspective, one of the things you learn from Nancy is to be thorough in the pursuit of your understanding. Part of Nancy’s teaching is the methodology of illustrating, amassing information from different sources and systematically adding it together to produce a beautiful illustration. The Guild is built of its inspiring teachers and its members who participate and promote the Guild. For doing these things consistently over time we honor Nancy tonight.